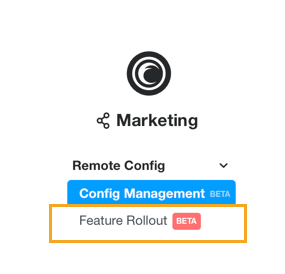 Feature rollout setup should be used when you want to control app configuration for a target audience such that configuration is further sub-divided into users that have the new experiences and those that don’t. 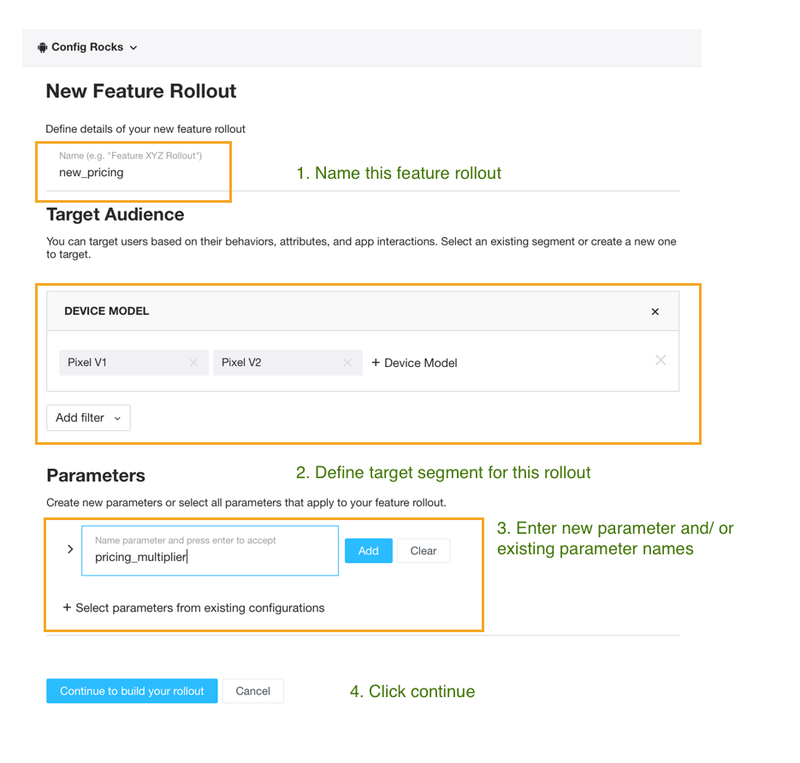 For example, enable a new feature to only 5% of US users. 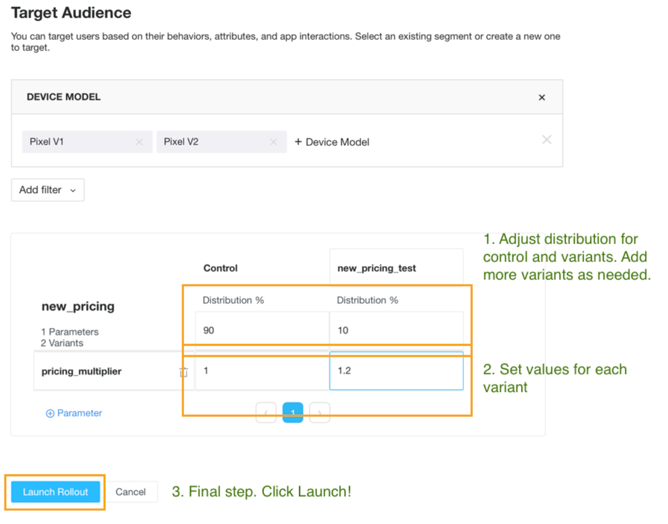 Reporting of Variants for Feature Rollout will be same as App Config Variants.